In a sense, the fault was mine. A child of the 1970s, I'd grown up unused to, if not suspicious of, Indians winning in global competition. Add to that middle-class Bengali genes, which made me look down on all material success (i.e., outside the world of books) as decidedly infra dig. Sunil Gavaskar's record-breaking accumulation of runs v Gundappa Viswanath's moments of artistry or Kapil Dev's near-quixotic, boisterous open-heartedness? No contest. Sachin Tendulkar had the runs but he had the artistry too, and his rebellion was almost Gandhian: a schoolboy smile, a shrug in the face of the sharpest sledging or the most hostile bowling, which only wound up the opposition more. I should have loved him from the start - but in him I saw the reflection of our country as it evolved from a sleeping south Asian power to the bully of the cricket world. Love Tendulkar? He never had a chance. Our careers started at the same time; his Test debut in November 1989 came almost exactly a month after I started my first job. Tendulkar had, of course, already made a mark with his Ranji debut hundred and his world-record partnership with Vinod Kambli, but the young sports stars of the time were Viswanathan Anand - chess world junior champion and grand master before Tendulkar's international debut - and Leander Paes, who won the junior Wimbledon title soon after it. Sachin was, in those pre-socmed days, still a Bombay phenomenon, largely unknown to the country at large. The calibre of his play was evident in his early international years, with centuries on his first tours to England, Australia and South Africa. It was slow-burn, with occasional sparks of sublime quality, and it made us realise there was something special in our midst. And we celebrated those early successes with typical reserve; less celebrated, more appreciated, like a rare single malt. And then something changed. In Tendulkar, for one. His first four years yielded six Test centuries, his next four yielded seven, and the four after that 13. His ODI batting was even more prolific: 31 centuries in the same 12-year period. Suddenly, the cottage-industry levels of adulation and appreciation of Tendulkar, of India, were inadequate; it had to be turned, churned, into an all-consuming, omnipotent force that declaimed India's standing at the top of the pile. 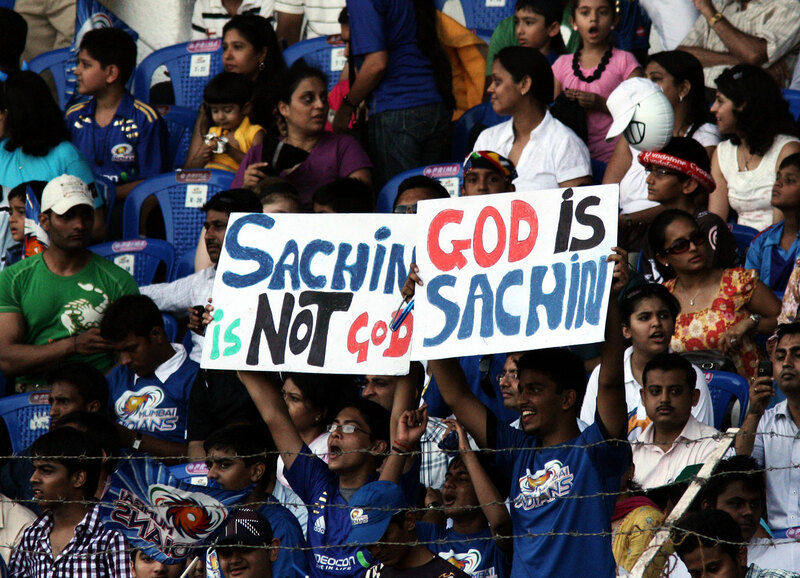 Cricket was now a religion, as the book title would say, and Tendulkar was god. Around the time of Tendulkar's first great peak, 1996, India co-hosted the World Cup for the second time. It was only nine years after the first, but it was vastly different. Where India in 1987 was a tentative claimant to a seat at the top table of world cricket, hamstrung by archaic infrastructure and practices, by 1996 it was ready to welcome the world. Over the next couple of years, the country's rise as a global power matched Tendulkar's. The nuclear tests in Pokhran in May 1998 - risking heavy sanctions and world disapproval - were followed a year later by the defeat of Pakistan in the Kargil conflict. In 1999 another, lesser, occurrence was symbolic of India's growing soft power: a BBC News Online reader poll for the world's "greatest star of stage or screen of the millennium" was topped by Amitabh Bachchan. That internet poll was possibly the first sign of the internet troll, the mobilisation of large numbers of internet users behind a common cause or ideology. (A BBC poll for greatest sportsperson, topped by Muhammad Ali, had Gavaskar at No. 3, Tendulkar at No. 5 and Kapil at No. 7). The clash of civilisations in the cricket world continued, in Port Elizabeth in 2001, as New India, under Sourav Ganguly (on the field) and Jagmohan Dalmiya (in the boardroom) refused to play nice for the sake of playing nice. It didn't help that the man at the centre of it all was Tendulkar, cited by match referee Mike Denness for ball-tampering; the reaction in India to those events was typically over the top. Even the staid Hindu remarked: "Denness truly believes - in the manner of his forefathers who ruled this land with such cunning for so long - that there are always two sets of rules." The genie was out of the bottle, there was no going back. Every small success, in any walk of life, was seen as another instance of global conquest, and every decision against seen as a national insult. Watching an India match became an intolerable pursuit, a living embodiment of the line from the Queen song, "No time for losers." And that's how I fell out of love with cricket, and began to love to hate Tendulkar. As a sports journalist I was supposed to stay neutral; while my colleagues found it hard not to openly support India, I convinced myself I was the counterweight on the sports desk. It must have been equally hard for both sides. I was unmoved as Tendulkar's serial quest for a World Cup went unfulfilled; I was left equally cold by that redemptive Test-winning century in Chennai. Like the Aussies, I was riled by his ability to sail through the most hostile situations, the most brazen provocation. All through, I was suspicious of the reams of praise showered on him by the world's best sportswriters; when Bachchan can be voted greatest screen and stage personality of the millennium, anything's possible. It wasn't too hard because I had other heroes to fill the scrapbook of my sporting soul. The same 24x7 sports channels that created media monsters out of our cricketers also brought the Premier League to our screens, and football, always my first love, became accessible. 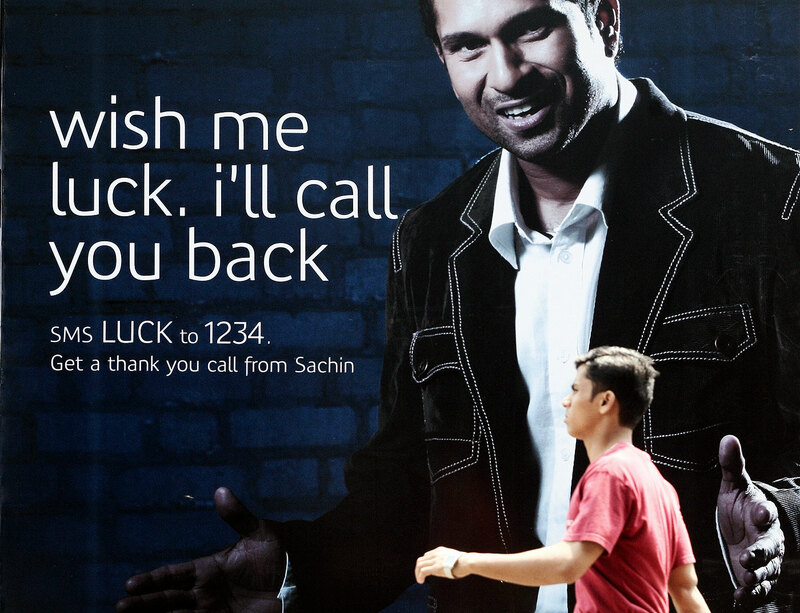 It didn't help Tendulkar's case vis-à-vis me that he wore a Chelsea jersey in one of the promos. But again, something changed. The first 20 years of my working life took me to jobs around India. From Ahmedabad to Vadodara to Chandigarh to New Delhi to Bangalore the language changed, the weather changed, the food and culture changed (yes, even from Ahmedabad to Vadodara, 110 km apart), the cost of living changed. But there was one constant: the way a city's collective mood would lift, whatever else was happening, when Tendulkar did well. His bat was like a wand that would chase away the cloud hanging over - and there have been so many clouds - and wreathe the country in a magical collective smile. He didn't have to lead India to victory; he had to score, the rest would fall into place. It was the most amazing sight, so pure, so positive; while it did mean someone was getting beaten off the park, there was a child-like innocence to the entire process. And in any case the vanquished rarely, if ever, bore a grudge against Tendulkar. Two innings stand out, separated by more than 15 years; both came after traumatic events in India, both concerning his hometown Mumbai, and both were in Chennai. In 1993, he scored his first Test century at home - 165, including 24 fours and a six - just days after the terrible communal riots that killed several hundred people in his hometown. And in 2008, a fortnight after the terror attack on Mumbai, Tendulkar's unbeaten century saw India chase down 387 in the fourth innings in Chennai against England. The tragedy was never far from his mind, as he acknowledged after the win, but he batted, this report wrote, with a zen-like calm. Few, if any, sportsmen have been so loved through their career, even by their opponents, as Tendulkar was. It usually happens in retirement, or close to it, with the mellow glow of insight, when the threat of defeat is over. In Tendulkar's case it happened in the heat of battle, through white-line fever, even as he was carving apart the opposing attack. Today I see him as a human being, whose feats of gold were on rare occasion let down by feet of clay. We don't talk about the excise waiver for his car, the miserable Rajya Sabha tenure, the commercial ads even after he'd been awarded the Bharat Ratna. Never a commentator nor a coach, he's faded somewhat from the limelight (so much so that Hardik Pandya and KL Rahul picked Kohli over Tendulkar on that show.) New gods have taken his place, performing amazing new feats, setting new records. But here's what I really miss about Sachin Tendulkar: not once in all those years did he ask me, and other non-fans, to leave the country.